Contest! 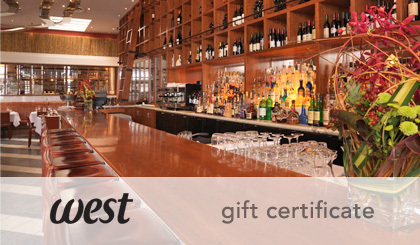 We will be giving a $100 West Gift Card to one lucky fan at random. Recognized as the “jewel in Vancouver’s culinary crown,” West’s outstanding contemporary regional cuisine and seamless service has garnered much critical acclaim, including four consecutive wins as Restaurant of the Year by the Vancouver Magazine Restaurant Awards, and a prestigious four star rating by Mobil Travel Guide. It’s easy, “Like” Hello Vancity and then share this blog post on Facebook. Good Luck! The contest ends on Wednesday, March 30, 2011 at 11:59 PM (PST). The winner will be announced on Thursday, March 31, 2011. 2) Like / Share this blog post on Facebook. Done and done. Wish me luck. Shared! Good luck everyone! I have never been to this place but I have heard only great things! !